Alaska’s famed Copper River is seeing a brutal return number of salmon so far this summer. The return is so low, that an emergency order closing the Chitina area to dipnetting was issued last week. Since statehood, Alaska has never closed the river to dipnetters. This is a blow to Alaskans and their freezers. During an average summer, 7000 Alaskans head to Chitina to dipnet the Copper River. 170,000 salmon are caught this way every year. Dipnetting is an Alaskan tradition, since only residents can get a license to dipnet. It’s how many fill their freezers with salmon for the year, and Interior Alaskans in particular, love making the drive to Chitina for this special personal use fishery. This really is historic, and it has a lot of people on edge. Biologists have pointed blame at “The Blob”, which was a large mass of unusually warm water that took up residence in the Gulf of Alaska from 2014 to 2016. Commercial fisheries are also feeling the heat, as they saw the second lowest take in 50 years. The commercial fishery was shut down in May by the Alaska Fish & Game. There is nothing easy about dipnetting The Copper. The river roars past the steep banks, forcing dipnetters to tie themselves off to rocks or trees to keep from being dragged into the deadly cold water. It’s a helluva workout, holding that huge net out into the flowing water, and if a king hits that net, hold on! It’s quite the experience, and you will sleep well at the end of a long day in the river. Not to be outdone, the Ship Creek King Salmon Derby in Anchorage saw their worst year yet. The contest on Ship Creek has been held since 1993, and they had the smallest king ever win the derby at less than 29 pounds. Only 98 kings were entered into the derby total, when in past years they saw that number entered in a day. The winning angler still walked away with $4000 worth of gold & silver. Needless to say, the price of salmon will be going up. 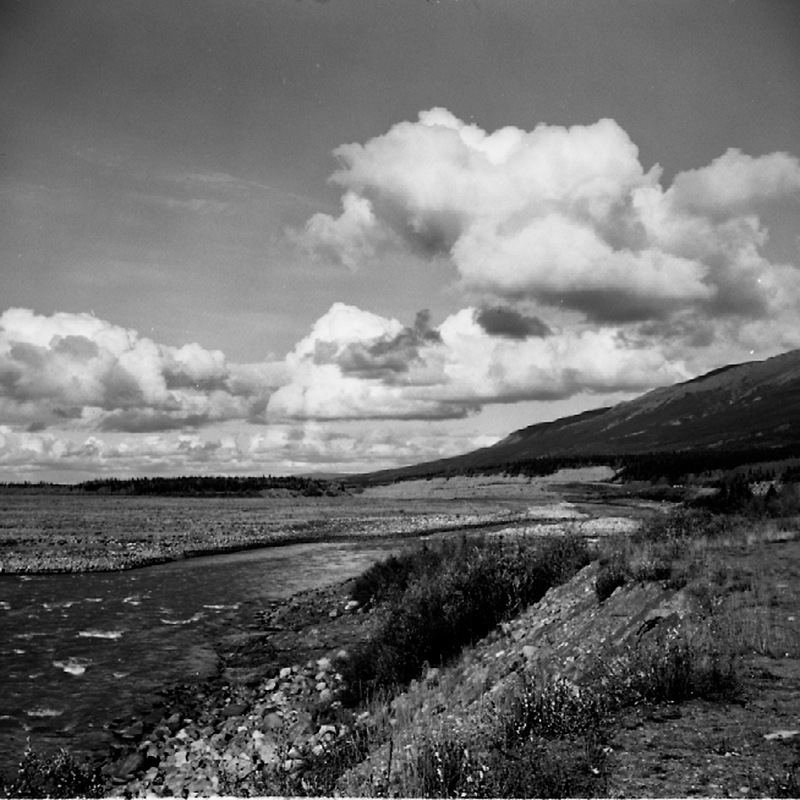 This entry was posted on Tuesday, June 19th, 2018 at 4:01 AM	and tagged with B&W, chitina, copper river, dipnetting, driving, fishing, history, photo, salmon, travel, wildlife and posted in Alaska. You can follow any responses to this entry through the RSS 2.0 feed. I remember my first trip to the Copper river, I managed to get my allotment but you are so correct it was hard work and when you were done there was for me a near vertical climb with my fish.